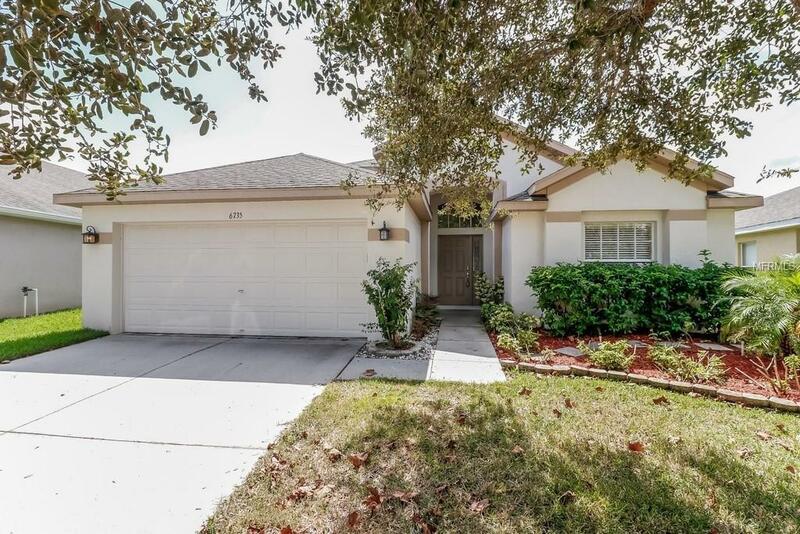 Beautiful 3/2/2 home located in Oak Creek of Wesley Chapel. 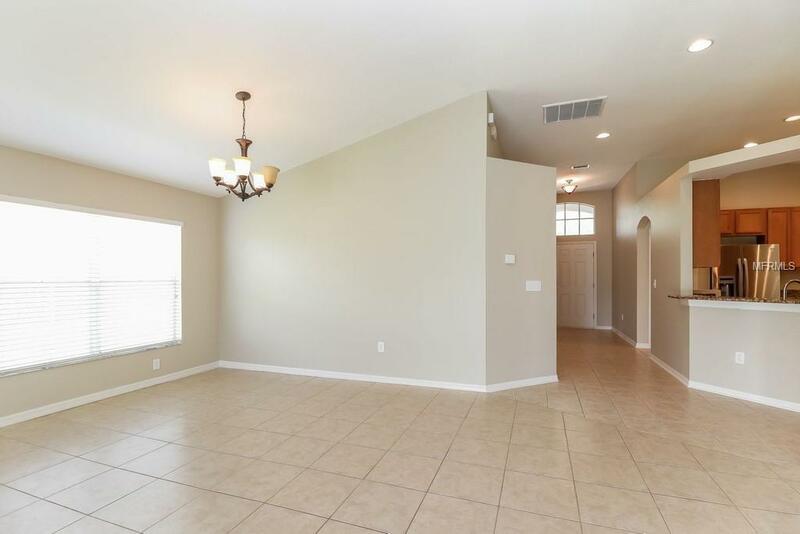 This home has a open/split floorplan. Tile thorughout and carpet in secondary bedrooms. 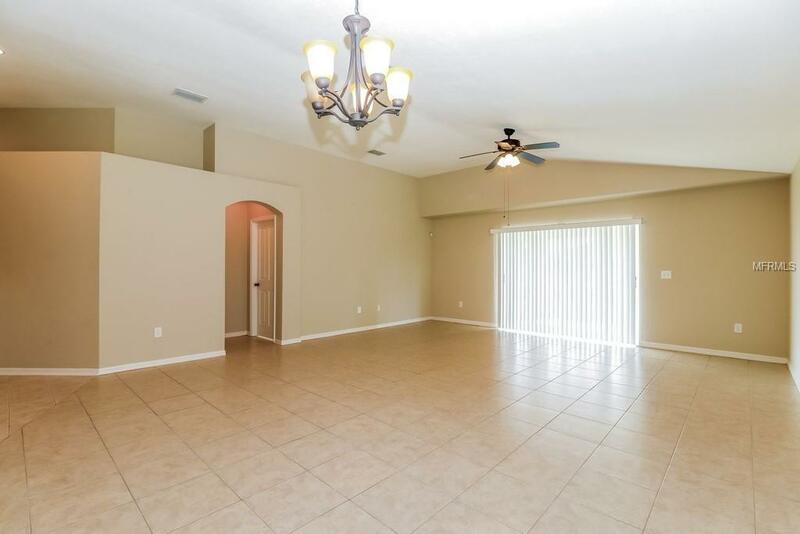 Large kitchen features eat-in area, granite counters and stainless steal appliances. Volume ceilings in living room and master bedroom. 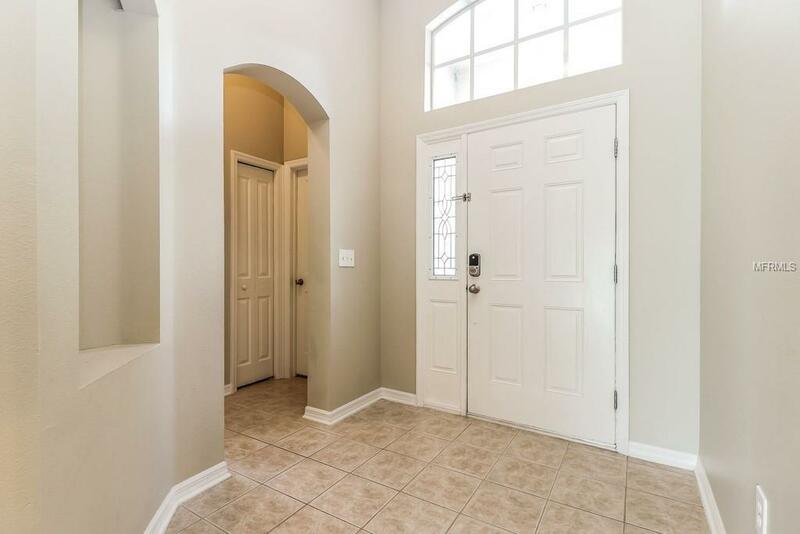 Huge walk-in closet in master. His and her sinks, grantie counters, seperate garden tub and shower in master bath. Granite in second bath as well. Fenced yard with pond view. LOW HOA. Amenities include community pool, dog park, playground and sport courts.